A regional daily has relaunched with a “fresh new look” and a redesigned masthead. 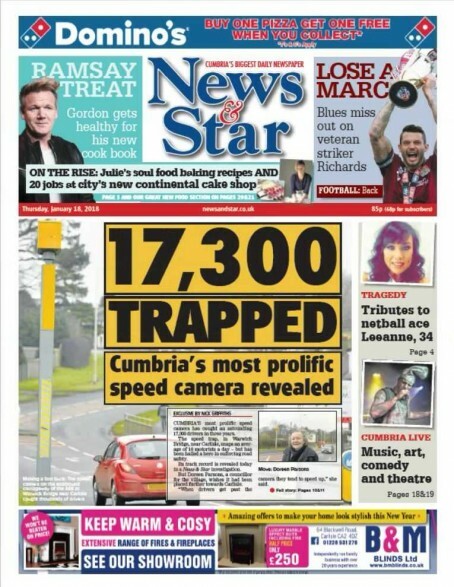 Carlisle-based daily the News & Star has undergone the redesign to transform it into what parent company the CN Group describes as a “bright, attractive and easy-to-read format”. The News & Star’s masthead has also been reorganised, and is now spread across two decks. CN says it will continue to publish two geographical editions following the changes, one covering the area around Carlisle and the other covering West Cumbria. The News & Star’s cover price has recently increased from 80p to 85p, though the company clams this is unrelated to the relaunch. However, it has also launched a reader subscription offer of £19.50 for 13 weeks, which works out at 30p per day. Group editor James Higgins said: “The News & Star has built up a reputation over many decades of being at the heart of its community and providing a trusted source of local content to inspire and inform our readers. “I am delighted to say we have invested significant time and resource into revamping the design, look and feel of the newspaper. Readers will get a fantastic package of content six days a week – with some new introductions and plenty of the old favourites. Jonathan Lee, CN Media Group managing director, added: “The new-look print edition is a great plat-form as we develop ever closer relationships with our readers and advertisers. We are committed to providing engaging, useful content, whether that is keeping our readers up to date with what is going on in their local community, or sparking debate on issues which affect their day to day lives. “Our content strategy in 2018 across print and digital focuses on us informing, inspiring, influencing, and interacting with our audiences. This will see some further development of our content to bring more analysis, more comment, and more in-depth and campaigning journalism for which our award-winning titles and journalists are renowned. Oh dear, what a mess, mismatch of colours. Looks like something school kids would produce. Old one was marginally better. The masthead is somewhat lost in the new version amongst other pitfalls already highlighted by others. It’s a mess – a redesign for the sake of it, and the masthead is smothered. 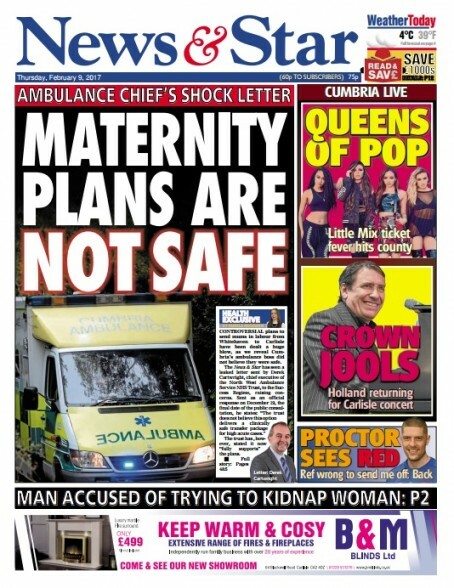 And that god-awful black-on-mustard headline?! It’s reminiscent of the smudgy black & gold design used in the eighties. Ugh. I feel like I’m going to throw up… oh wait, someone just did.